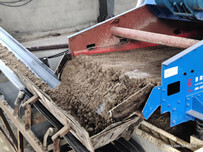 With the reducement of natural sand and minging ban, artificial sand has been introduced to the buliding materials markt, a large number of customrs are becoming to pay attention to the artificial sand-making industry, and more and more people start to invest in this minging field. 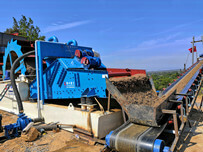 What’s more, customers are very interested in knowing about well the whole sand-making process. 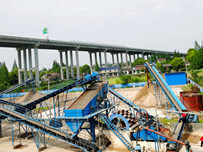 While, sand washing device production line base needs to notice many problems. 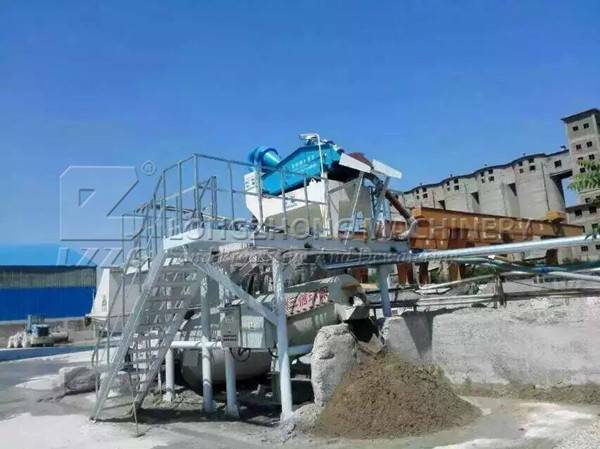 So, lzzg will tell you that the four major elements for investing in sand washing device production line base. 1. Water supply: On the premise of ensuring the quality and quantity of water meet the needs of production and life, the site should be as close as possile to the water resource. 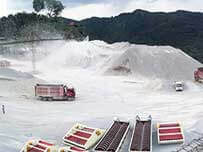 2.Suitable for the needs of process: In addition to meet the requirement of field area, the natural terrain of the crushing site should be aout 25. If there is no such ideal situation, the site should have a suitable slope. 3. Power supply: To break through the roughing problem of sand production line, the stone should have a reliable power supply and also try hard to shorten the transmission line. Wherever possible to use the power network to supply electricity, use it as much as possible to avoid increasing the investment and operating management fees by building a power plant. 4. Save transportation fees: When condition permits, it is necessary to realize the self-flow or semi-automatic transfer, and to prevent waste from being sent to river, thus resulting in polluting environment. Next：Where can customers buy an attractive and reasonable sand washer?